The result? An interesting finding regarding the worst worm invader of all — nightcrawlers — and a first-place win for Enneking-Norton in the Twin Cities Regional Science Fair! Not to mention awards from the US Department of Agriculture and the Minnesota Horticultural Society. 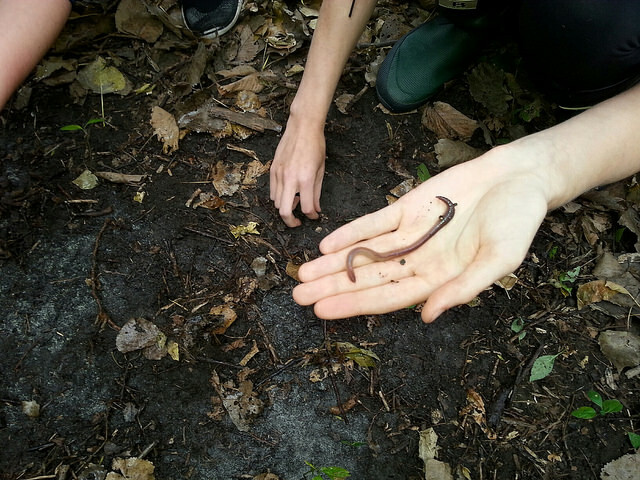 "During the field trip," says Enneking-Norton, "I learned that earthworms were actually an invasive species, which I thought was the coolest thing ever. Since then, I've incorporated worms into nearly every class, and Advanced Science Research was particularly well-suited to the topic because I could design my own project studying worms." After her class ecological monitoring outing with FMR (which her classmate, Claire Tipler, also wrote about), Enneking-Norton contacted FMR ecologist Alex Roth to see how she might be able to expand on her experience. Together, the two designed an experiment to investigate the effects of buckthorn removal on populations of invasive earthworms. Over the course of a few months in fall 2017, Flannery sampled earthworms at four FMR restoration sites spanning from Elk River to Cottage Grove. Data analysis proved tricky, but Flannery’s persistence paid off. She found that while her data seemed to support previous research indicating a relationship between buckthorn removal and earthworm decline, her results were more pronounced when she examined the impact of buckthorn removal on specific worm species. At FMR we're happy about not only Enneking-Norton's findings but her accolades. Her project was way beyond a high-school level, and she put in a lot of time and effort explaining and interpreting her results. We're proud to cheer on such a smart, inquisitive and hardworking person as she heads to the next level. With the first-place finish, Enneking-Norton was one of two students selected to compete at the Intel International Science and Engineering Fair. Along with roughly 1,800 other high schoolers from over 75 countries worldwide, she’ll be presenting her project in Pittsburgh this May. Hats off to you, Flannery! For the past few seasons, FMR has been working with students to conduct long-term ecological monitoring at several of our restoration sites. FMR Youth Coordinator Kate Clayton and I lead students in the hands-on sampling of everything from insect abundance to water quality to provide in-the-field learning opportunities for students and help track the impact of our restoration work. 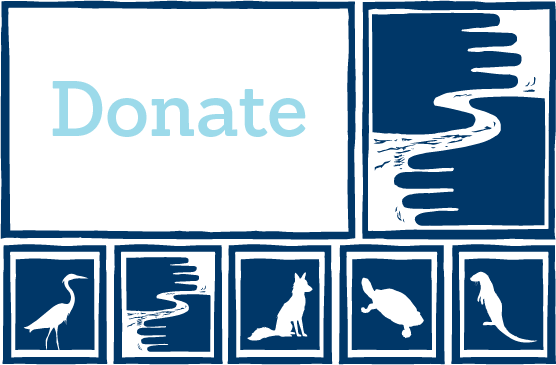 If your high school is interested in getting involved in citizen science as part of your curriculum, let us know! Contact FMR Youth Coordinator Kate Clayton at kclayton@fmr.org.